This isn't your grandaddy's Pan Am. Gotta attract the rich clients. J6P is outta cash for Happy Flying. 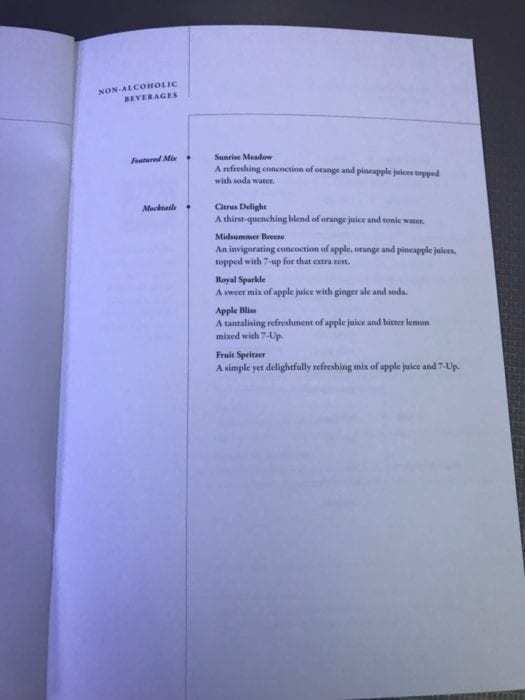 As my round-the-world adventure continued, I flew Singapore Airlines’ A350 from Singapore to Johannesburg. 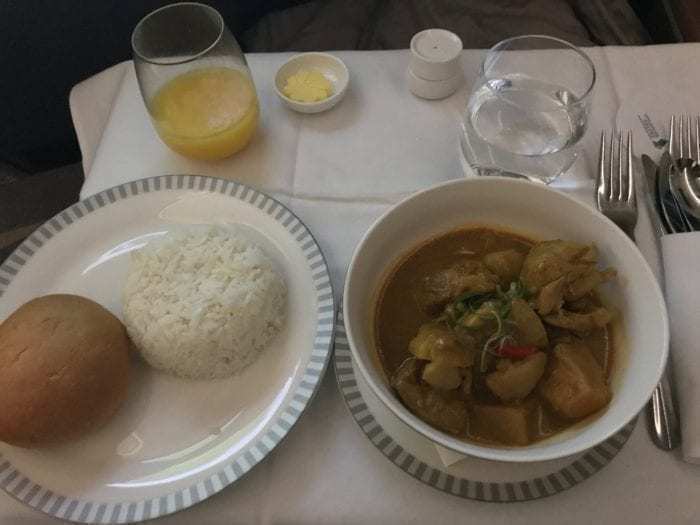 After flying Singapore Airlines on a short-haul flight in business class, I was excited to see what their long-haul experience was like. In the end, the flight was almost perfect. 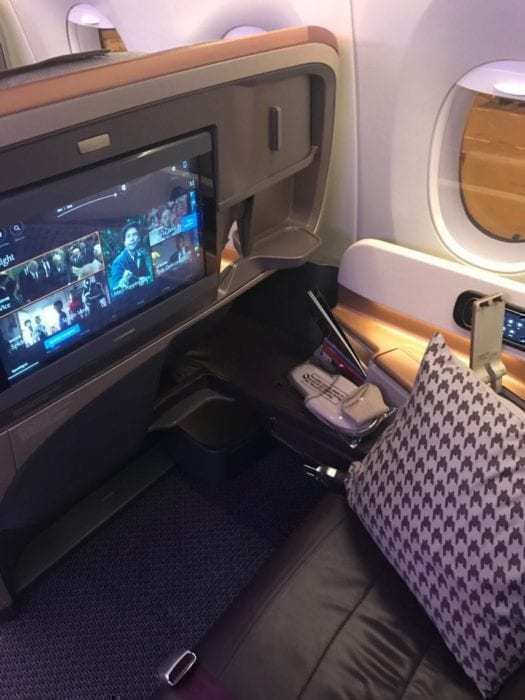 Singapore Airlines’ A350 Business Class was almost perfect. One-way flights from Singapore to Johannesburg are quite expensive. 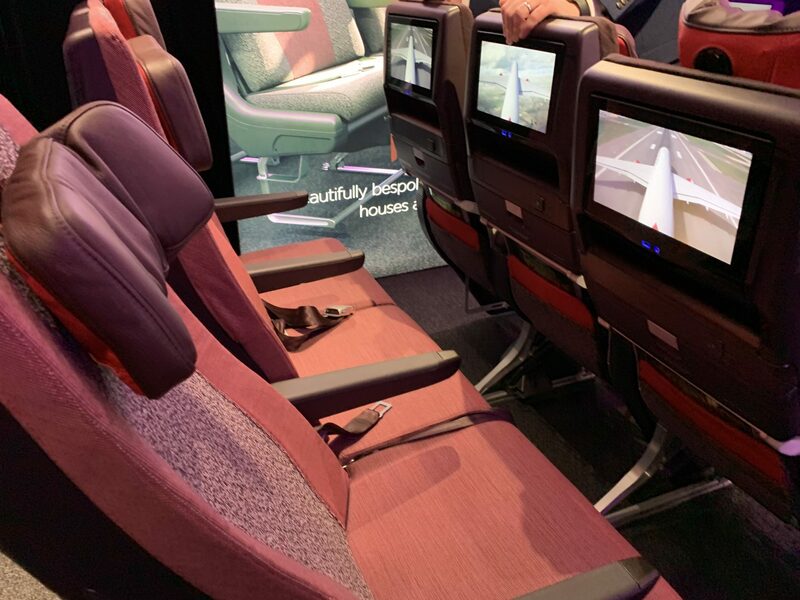 You can usually find a business class flight for around $4,000. 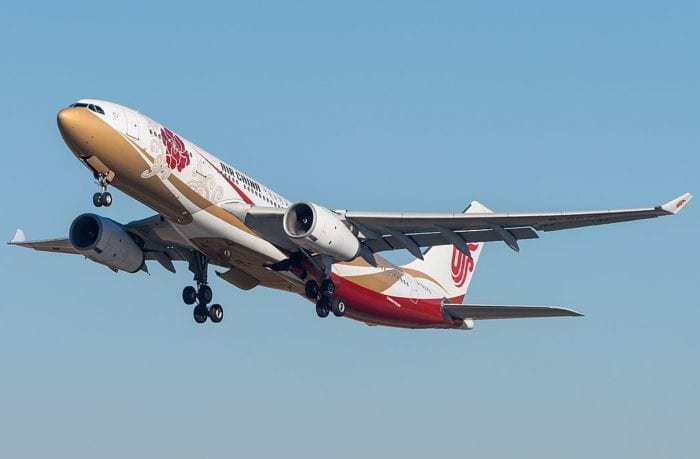 However, you can usually reduce that cost by flying out of a Southeast Asian gateway like Ho Chi Minh City or Phnom Penh. Since I was flying to Cape Town, I booked this flight as a one-way from Ho Chi Minh City to Cape Town with a few days stopover in Singapore. 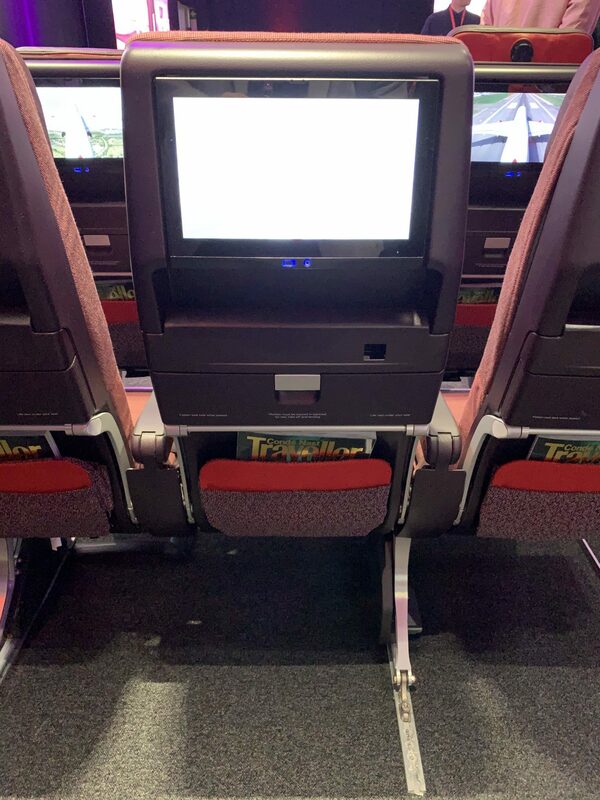 With the help of a travel agent, I was able to reduce the cost of this leg in business-class to around $1,985 – over a 50% discount! You could book this flight through KrisFlyer, which is Singapore Airlines’ frequent flyer program. 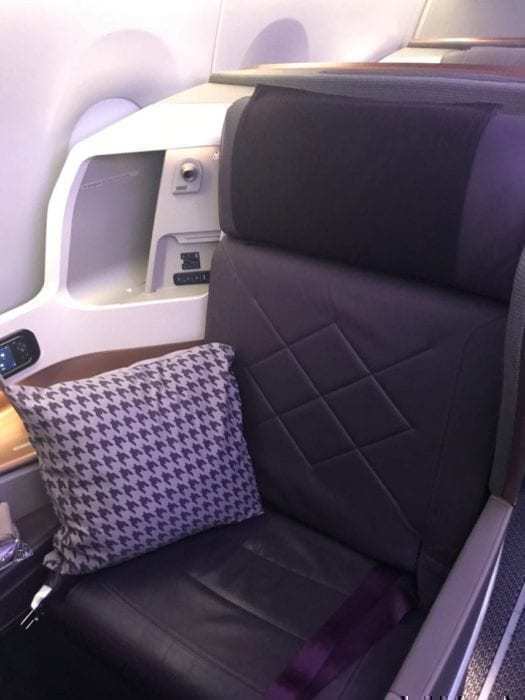 One way Advantage awards can cost up to 90,000 KrisFlyer miles in business class. Meanwhile, saver awards can get you business class for 49,000 KrisFlyer miles. Since my flight departed at 1:30 AM and my hotel check-out time was 2:00 PM, I arrived at the airport around 2:30 PM. Singapore Airlines had a dedicated business class check-in point in Terminal 3, where their flights to Africa depart. It took me about 15 minutes to check my bags and clear immigration. At Singapore’s Changi Airport, security screening is at each gate or cluster of gates. All you need is a valid boarding pass and passport to enter the departure areas. I made my way to the SilverKris lounge. The lounge was gigantic. There were tons of seating spaces, which soon became necessary. However, one major drawback was a lack of outlets. I had to hunt around the room for a solid 30 minutes before I found a seat that had power access. Singapore Airlines could really work on introducing more power outlets in their lounge. 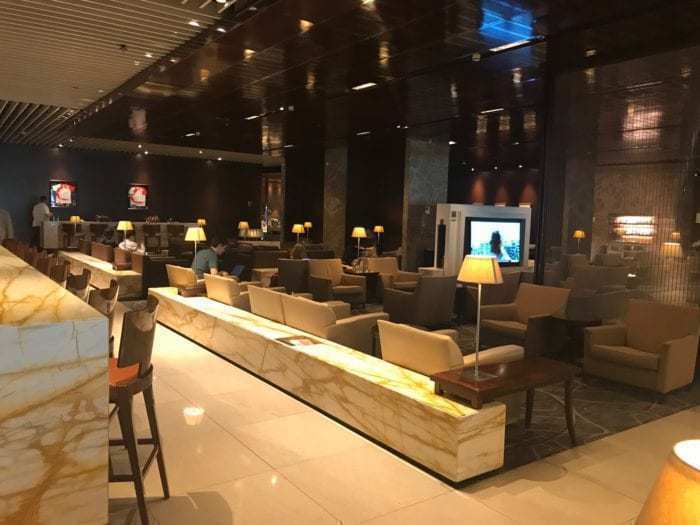 Singapore Airlines’ SilverKris lounge had a lot of seating, but limited power access. Unfortunately, this was the only business class lounge in T3. Consequently, the lounge itself was quite crowded. 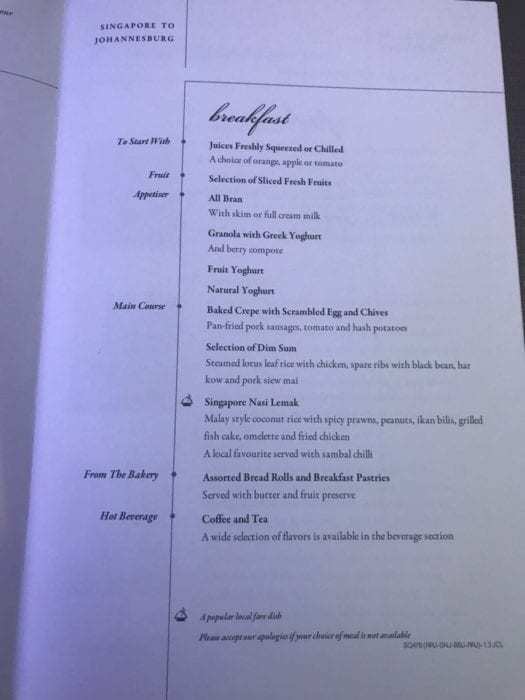 Singapore Airlines offered a large buffet area, however, there were only about 10 different hot food options. Furthermore, the dishes were quite small, meaning staff were constantly replacing the dishes. 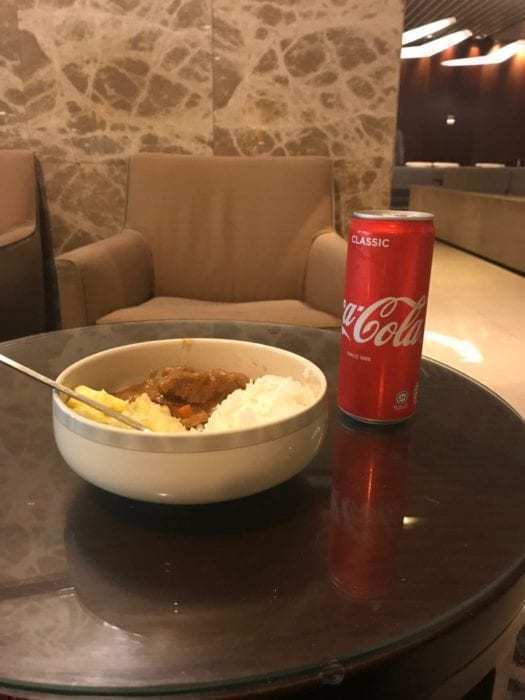 I settled for some beef stew, mashed potatoes, rice, and a Coca Cola. The food itself was tasty. 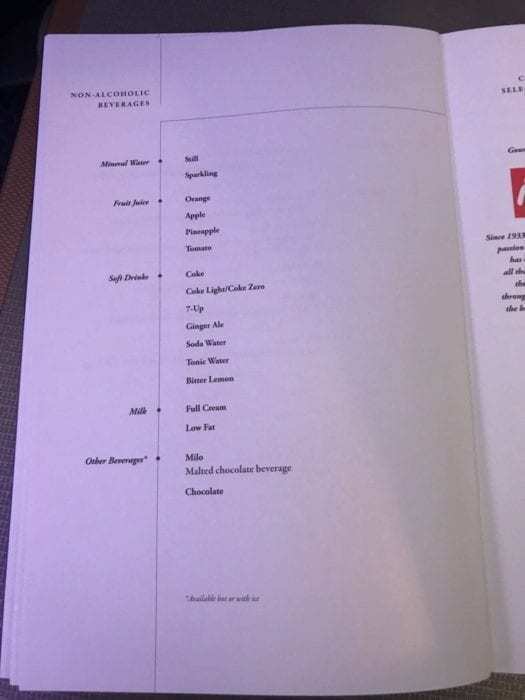 Over the nine hours that I spent in the lounge, a few different items were served and the self-serve drink selection was always full. The staff worked constantly to maintain the lounge. Every so often, they would come around with a cart to collect used service items or offer additional tea, coffee, or some light snacks. There were also showers available in the SilverKris Lounge. No appointment was necessary. Instead, a shower attendant would put your name down on a list. If you didn’t want to wait in the bathroom for your turn, they would hand you a little buzzer. Once Jewel opens, you might find a better pre-flight experience outside the lounge. I left the lounge for my gate at 12:00AM. Boarding started at 12:55AM for our 1:30 departure. 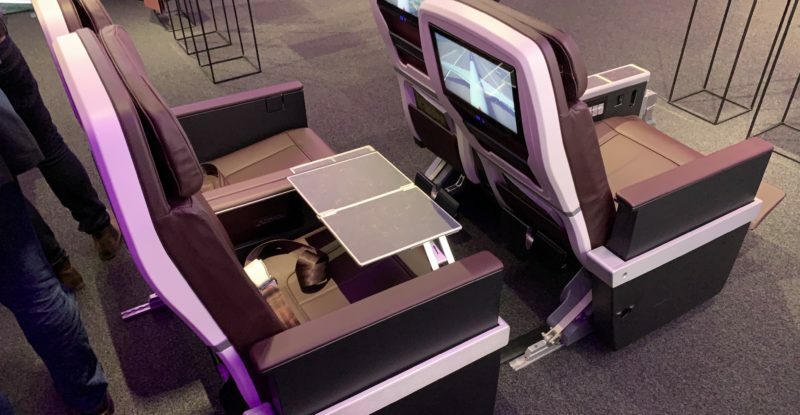 Amazingly, boarding for this fully-loaded A350 was complete in 20 minutes. Wow! Business class passengers boarded through the forward door. There, I was greeted by a smiling team of flight attendants. I turned right into the cabin and made my way to seat 16K! 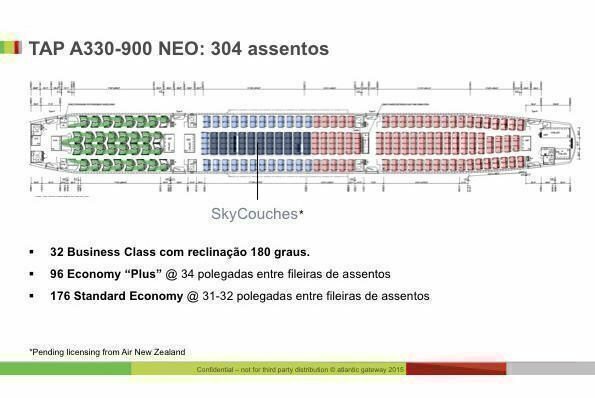 Singapore Airlines arranges their business class in a 1-2-1 configuration. The seats aren’t reverse herringbone. 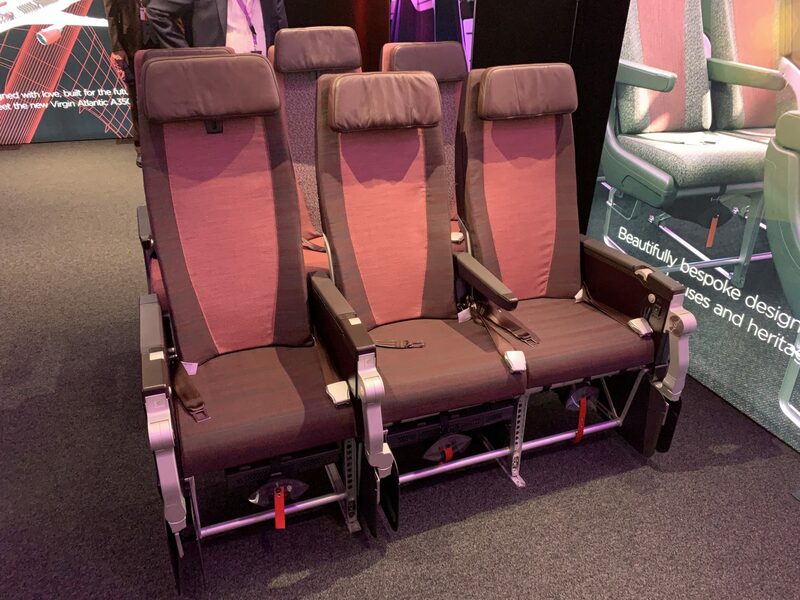 Instead, Singapore Airlines offers a forward-facing configuration with lie-flat seats. 16K was a window seat in the penultimate row of business class in the forward cabin. 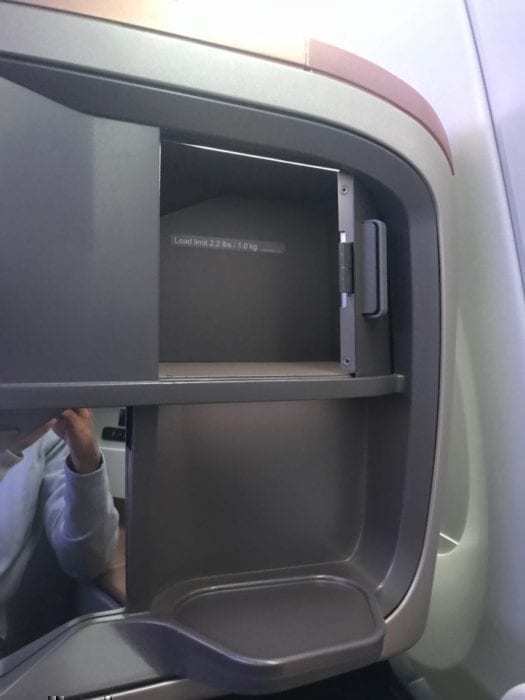 A smaller business class cabin was located behind the second set of doors. There are no overhead bins over the center rows. As a result, overhead bin space can fill up quickly. Be sure to board early! We did end up running out of space in the overhead compartments in business class by the end of the boarding process. 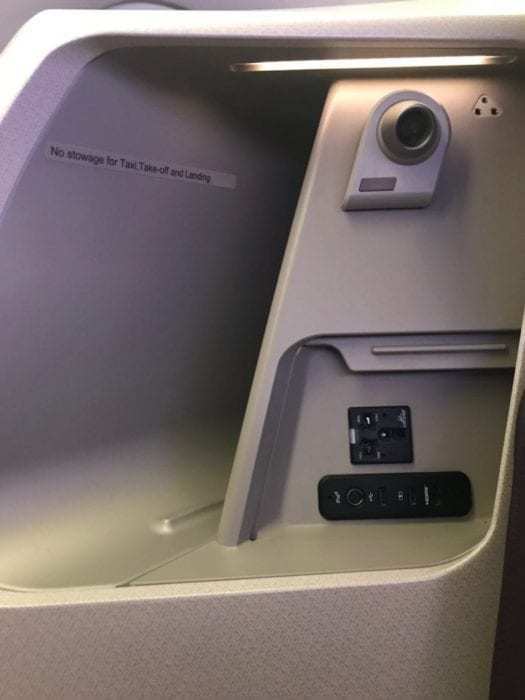 To the right of the seat was a reading light, power outlet, and storage nook. 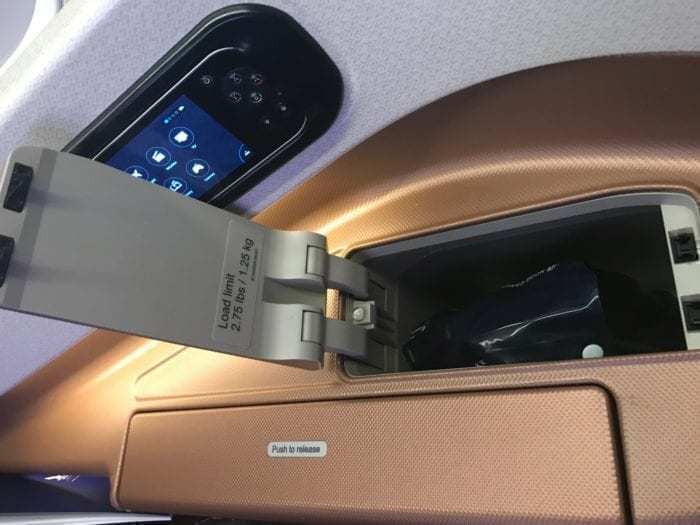 During the flight, laptops, iPads, books, or newspapers could be stored there. Below the reading light was the universal power outlet in addition to a USB outlet. 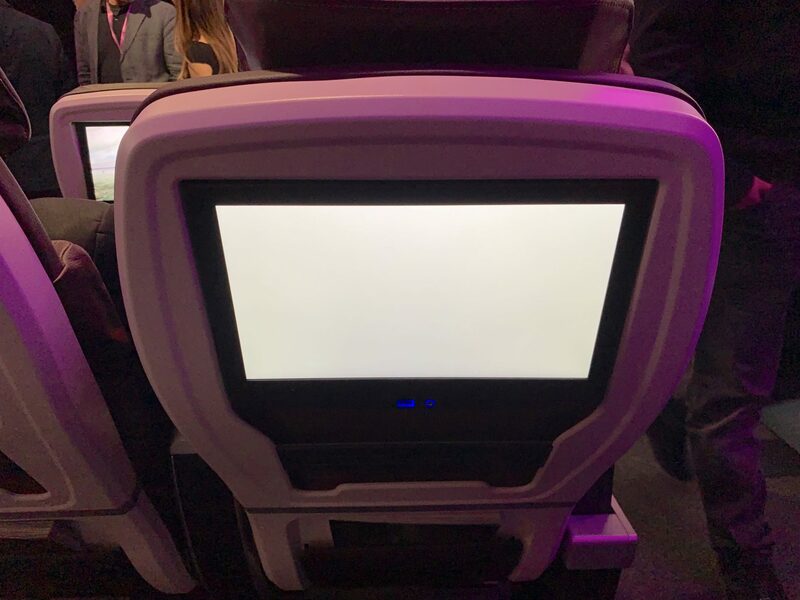 The power was only active after takeoff. Below that was the handset entertainment controller. 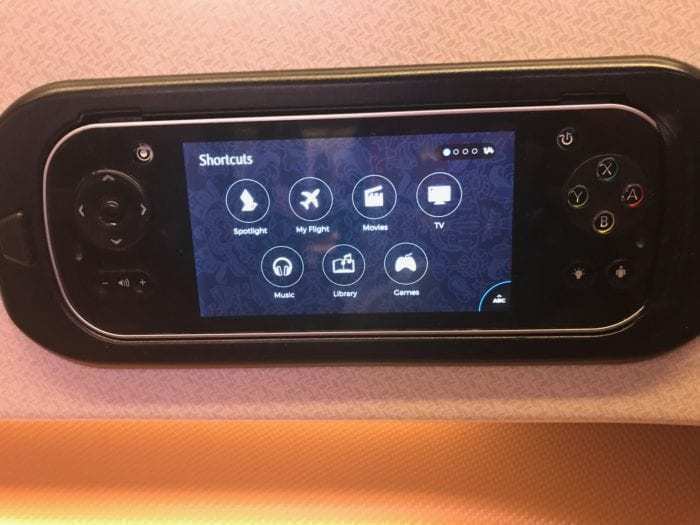 Singapore Airlines’ business class monitors are not touch screen so it was necessary to use the remote. Below that was the tray table and a storage area for water bottles. Headphones were also stored there. On the left side of the seat were the seat controls. There was also another set of lights in the partition. 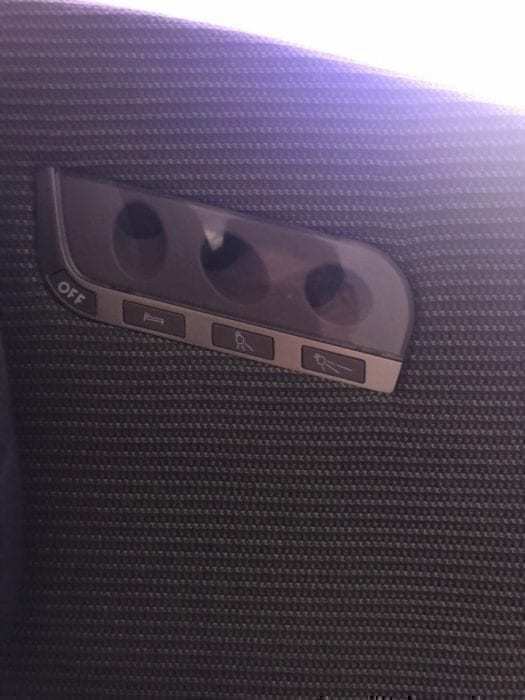 The footwell in this configuration is tucked underneath the armrest of the seat in front. As a result, the footwell is angled away from the seat and is a bit on the small side. Below the footwell was an area to store your shoes or larger bags. Above the footwell, was the only real place to hold a glass, a mirror, and additional storage for smaller items like a wallet, passport, phone, or glasses. Waiting at my seat upon boarding was a pair of slippers, eye mask, and socks. 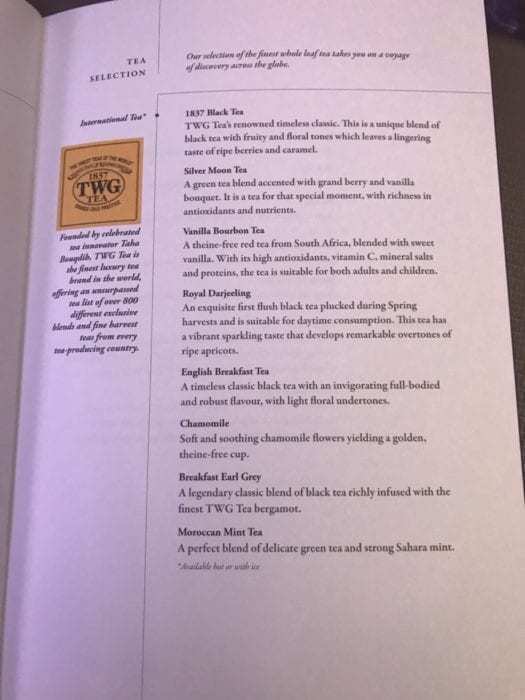 Singapore Airlines doesn’t offer amenity kits. Rather, additional items such as a toothbrush, razor, comb, etc. are found in the lavatory. 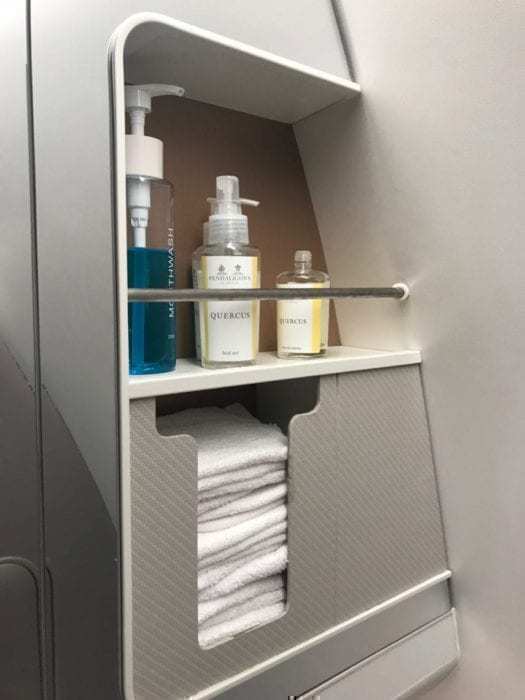 Also in the lavatory, one could find mouthwash, facial mist, and some hand lotion. 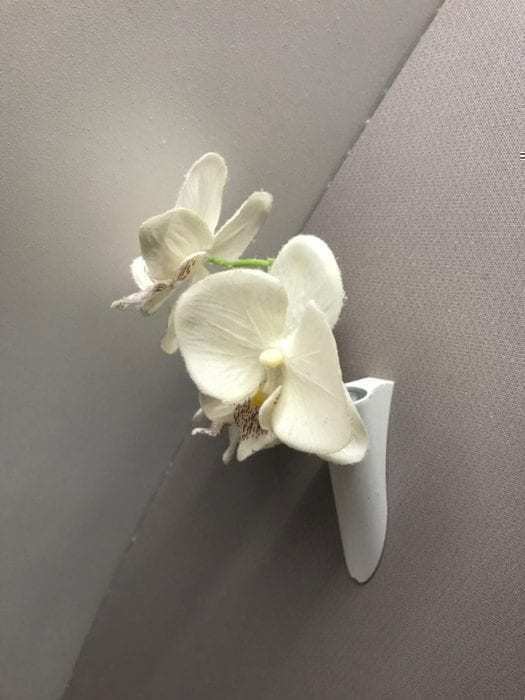 There was even a nice little flower in the lavatory. Back to the seat. 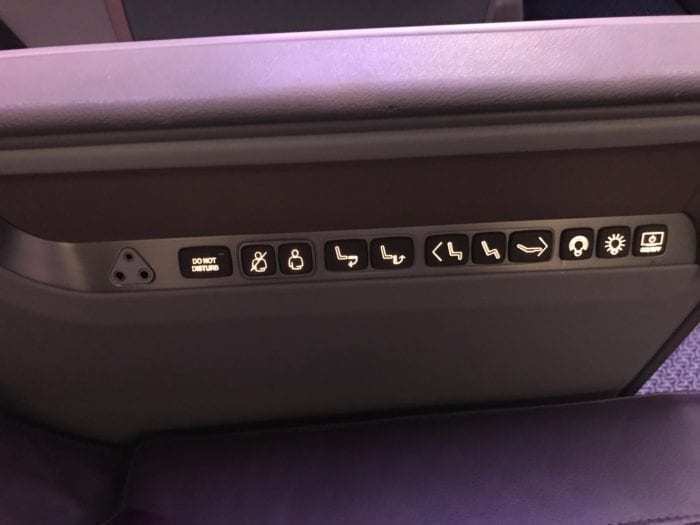 In order to convert the seat in bed mode, you have to flip down the back of the seat. This is a bit cumbersome. However, flight attendants were proactive and offered to make my bed for me. In addition, when the back is lowered, additional bedding and a heavier pillow were revealed. I did like how there was a little mattress pad on the seat. It wasn’t much in terms of padding, but it did add a little aspect of hygiene since I wasn’t sleeping directly on the seat surface. The one slight downside to this seat is that you have to sleep angled. By this point, I was exhausted so was able to get some sleep. However, I did end up with some aches that awoke me as a result of the awkward sleeping position. On this 10-hour flight, I ended up getting about six hours of sleep. 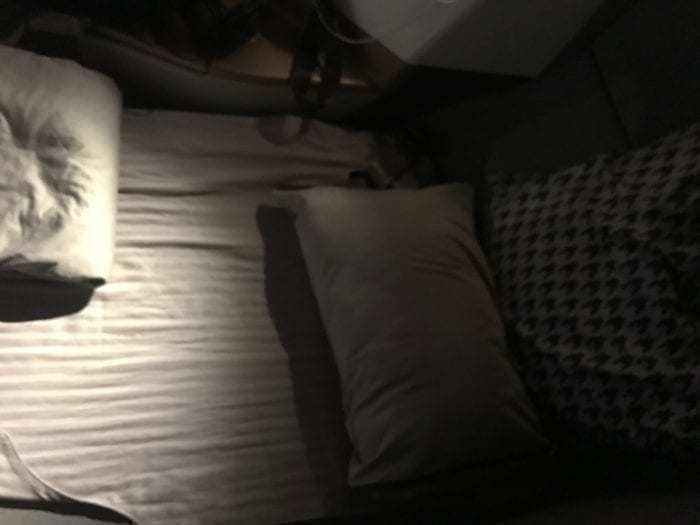 It wasn’t bad and I was able to get an additional two hours of sleep on the short leg between Johannesburg and Cape Town. The bedding itself was solid, however. The pillow and blanket were perfect for a long-haul flight. In addition, the seat itself was very private. The partition extends quite far which encloses your space. Though not a suite, this was nevertheless an excellent seat for privacy. 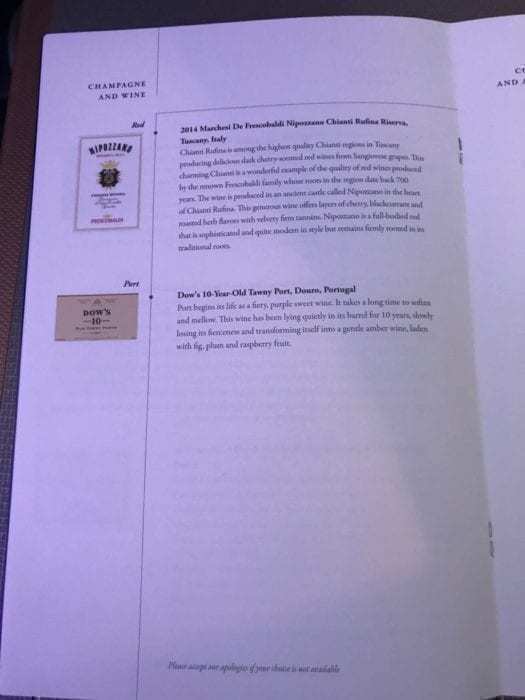 Singapore Airlines offered a fantastic entertainment selection on this flight. There were over 100 movies in addition to a large number of TV shows and audio options. If you’re flying the world’s longest route, you’ll definitely have plenty of content to keep you occupied. It isn’t a touchscreen. However, the remote control worked just fine and I was able to scroll through and view what I needed to. Singapore Airlines provided noise-canceling headphones. They were identical to the ones offered on my previous flight and did the job. If you were in the mood to read, flight attendants passed out various options for newspapers prior to departure. Business class passengers received 30 mb of free wifi. In addition, paid for wifi was also available. Do note, however, that Singapore Airlines’ charges for wifi based on data usage. It can be quite easy, as I discovered, to blow through your package! Make sure that no background apps are running and you pause your session when you’re not using it. These are some easy ways to save some of that precious data. 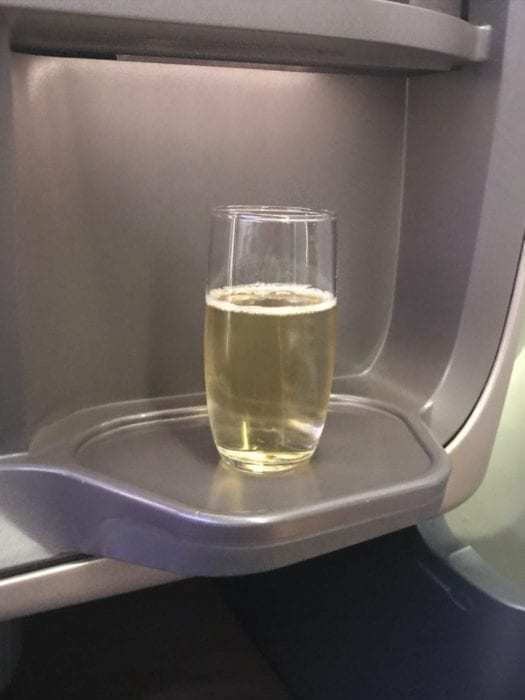 After settling in, I was offered some pre-departure champagne. 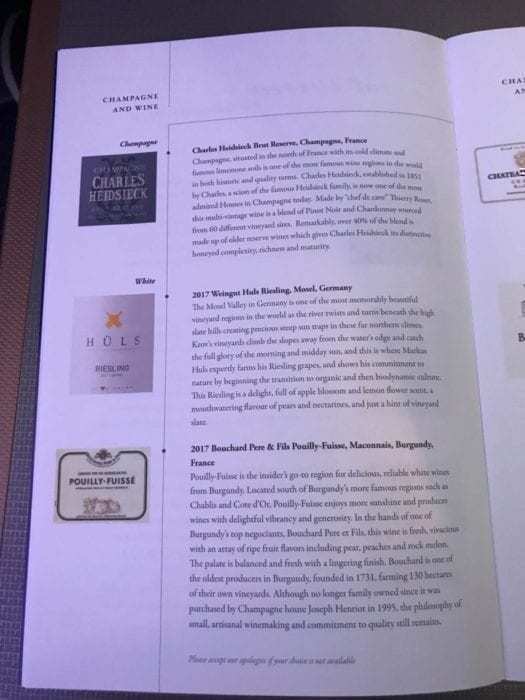 Singapore Airlines served Charles Heidsieck Brut Reserve. About 20 minutes after takeoff, the initial service started. 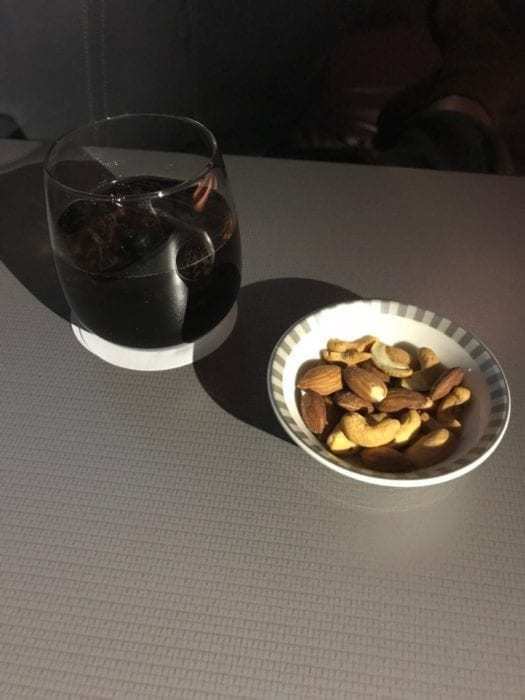 First, I ordered a Coke and it came with some nuts. About 30 minutes after takeoff, I was offered the refreshment. I selected the toasted walnut bread with roasted beef, coleslaw, and salad. Really, it was a light sandwich. The sandwich tasted like a normal sandwich. Granted, it is hard to make a sandwich unique. 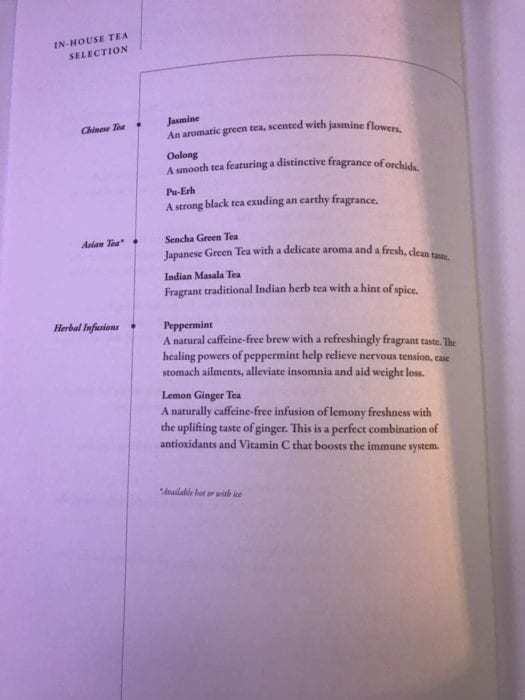 I did appreciate that Singapore Airlines served it warm and well made. Overall, though, it wasn’t terribly special. 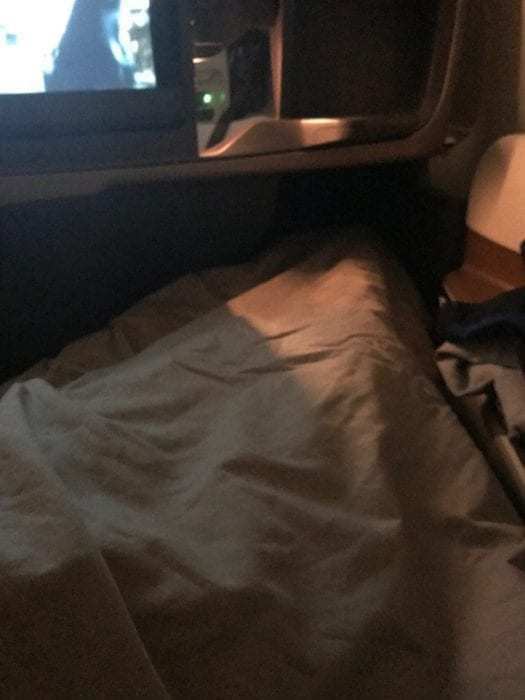 About an hour after takeoff, flight attendants cleared the refreshment and made my bed. I got about six hours of sleep. When I woke up, I ordered a Coke with some trail mix. 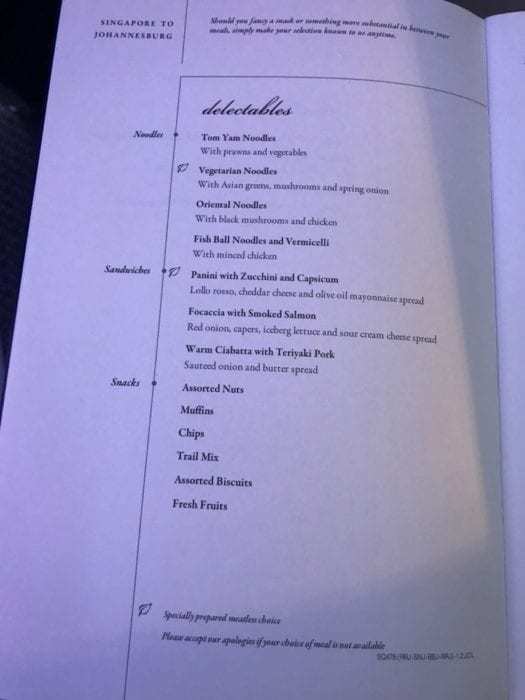 Minor detail, but I would have liked to see the trail mix served in a little bowl. 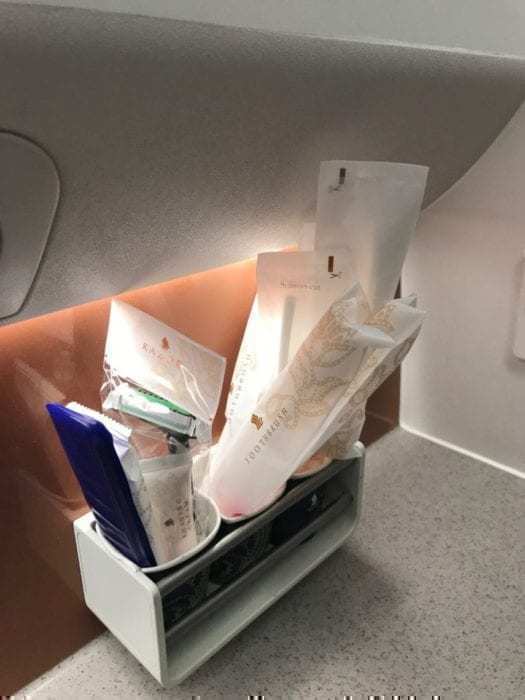 It wasn’t a huge deal since flight attendants were proactive with clearing trash, however, it was a slightly awkward presentation. 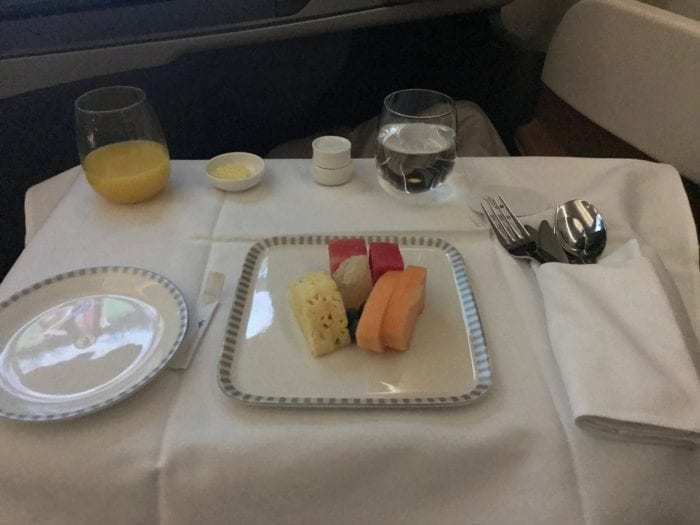 About two-and-a-half hours out, flight attendants commenced the breakfast service. 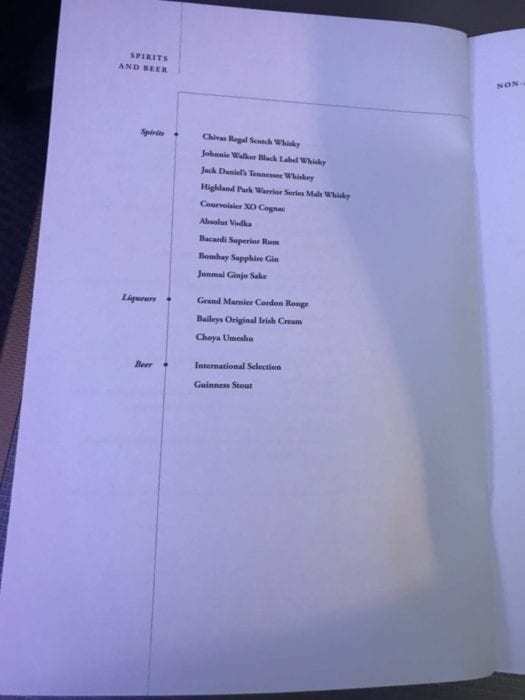 This was the main meal on this flight. I first received the starter. Despite about eight hours in the air, the fruit still tasted very fresh. Much to my liking, the pineapple was also quite sweet. In comparison to other inflight fruit I’ve had, this was pretty good. 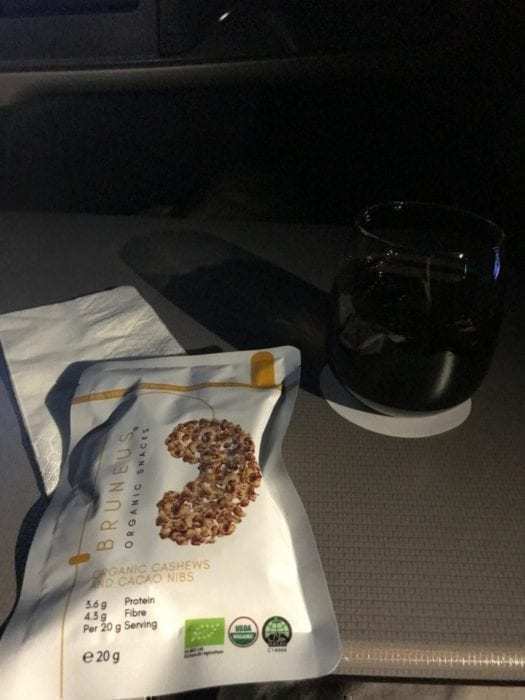 After the fruit, flight attendants came around and offered cereal. The cereal was standard and it was nice to see they had something more substantive than cornflakes. Flight attendants also offered passengers skim or whole milk to go with the cereal. 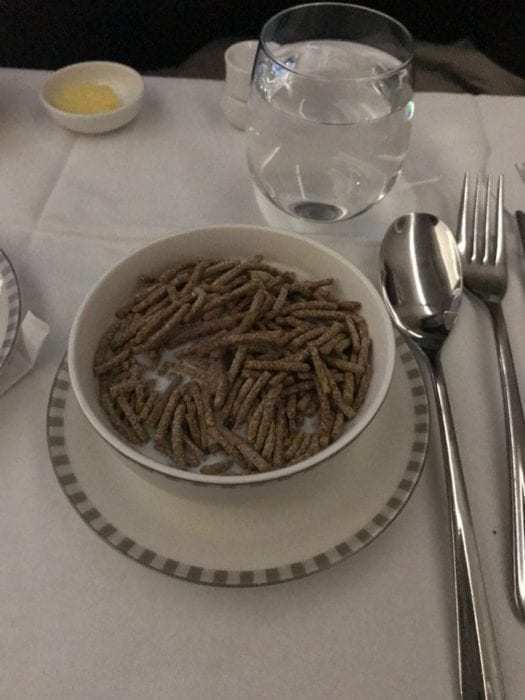 After the cereal was cleared, flight attendants served the main meal about one-and-a-half hours prior to arrival. 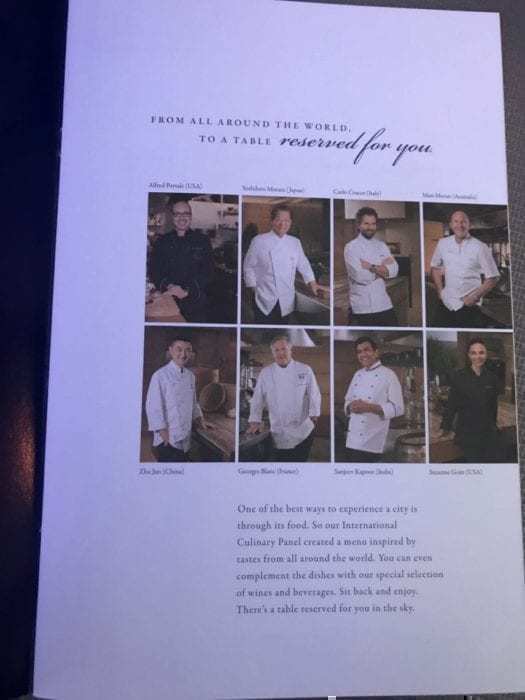 I used the iconic “Book the Cook” option from Singapore Airlines. I pre-ordered the chicken curry. The chicken curry was fantastic! 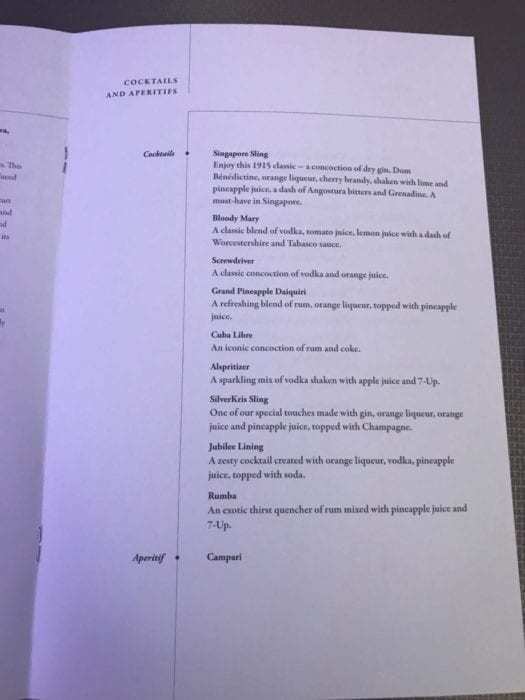 Singapore Airlines is known for their excellent catering. This meal was no exception. 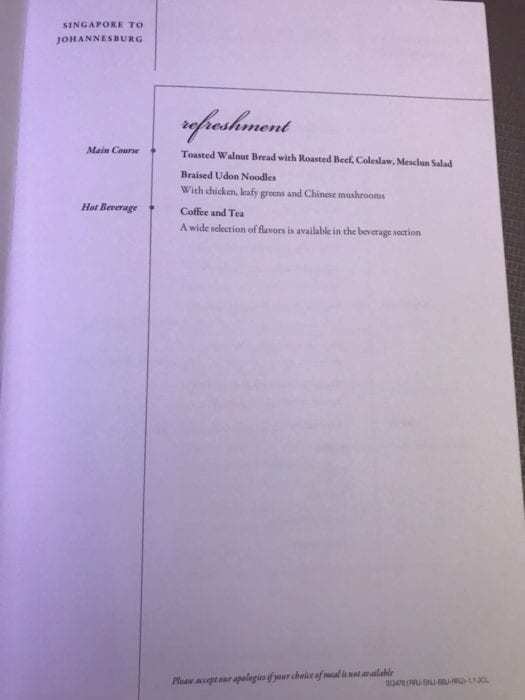 I was pleasantly surprised as the dish was rich in flavor. The rice also didn’t taste like typical airplane rice. It was fluffy and fresh. 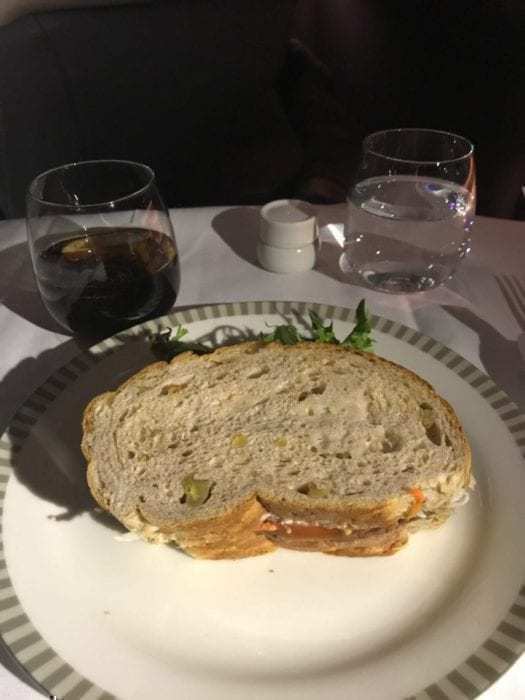 I would have liked some garlic bread, since Singapore Airlines serves an excellent garlic bread, but the roll was just right with this meal. 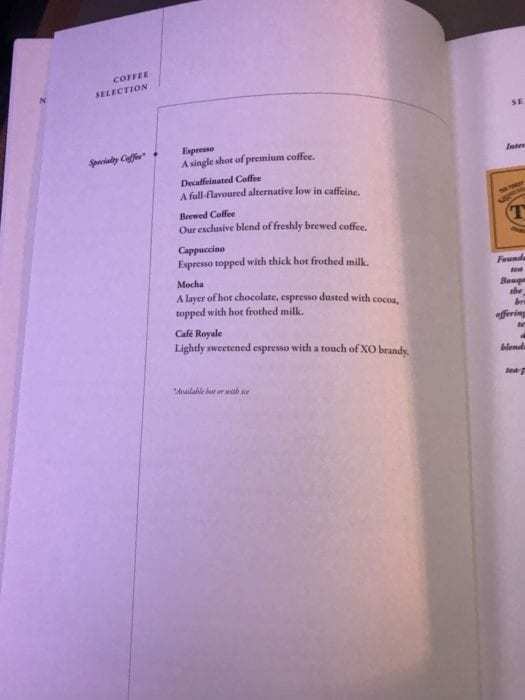 Above all, this was the best breakfast I’ve had on a plane. From the time I boarded until I deplaned, flight attendants constantly addressed me as “Mr. Singh”. I like when flight attendants put the effort in to memorize a passenger’s name since it elevates the entire experience. Every experience I had with flight attendants were exceptional. 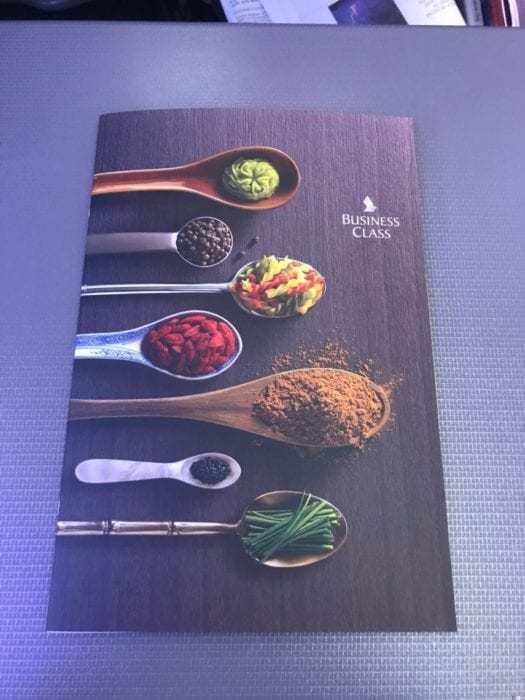 Singapore Airlines has a tough cabin crew certification process. It really showed in how immaculately put together the flight attendants were. They constantly maintained their appearance and never once looked even remotely tired. They all seemed glad to be onboard the flight and enjoyed providing excellent service. 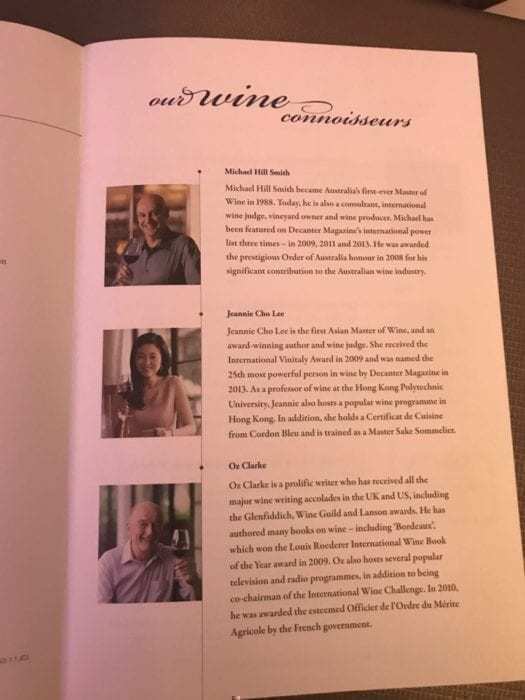 Well done to this crew! 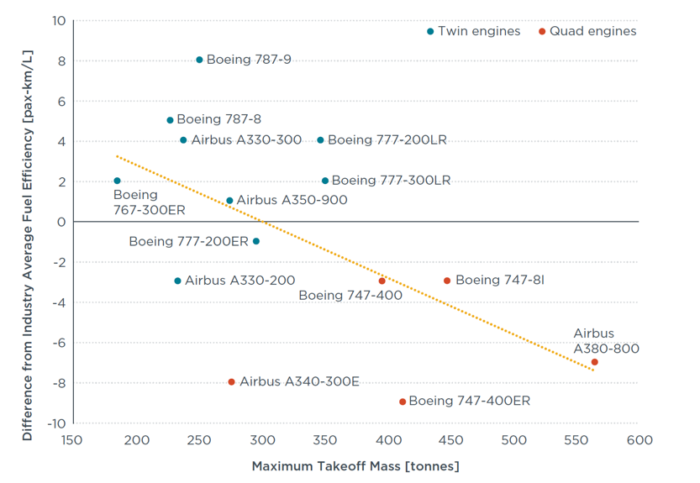 On top of it all, Singapore Airlines excels in terms of priority baggage. I only had to wait for about five minutes after clearing immigration for my bags to arrive at the carousel in Cape Town. The business class and priority tagged bags all came out first. This flight was almost perfect. 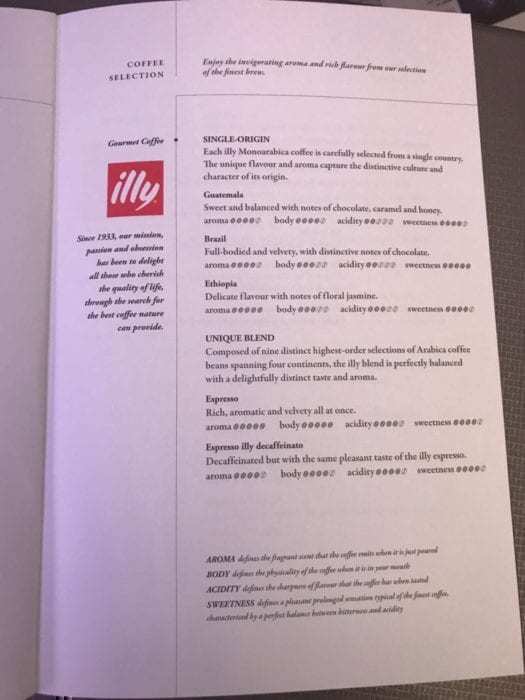 There was excellent content, attentive service, and fantastic catering. I did find that the angled footwell was a bit uncomfortable. However, I was still able to get six hours of sleep. 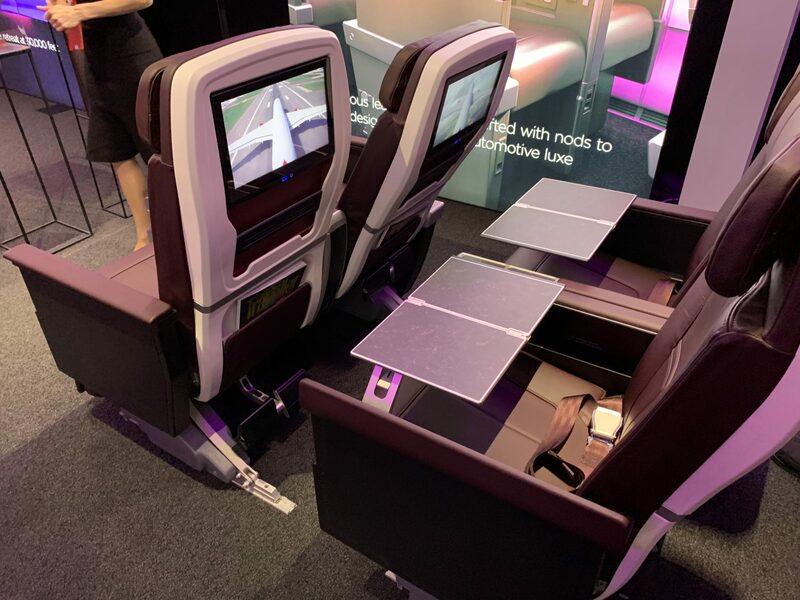 I’d really want to see how the angled footwell does on one of their ultra long haul flights, since they use the same seat in business class across their long-haul A350s. 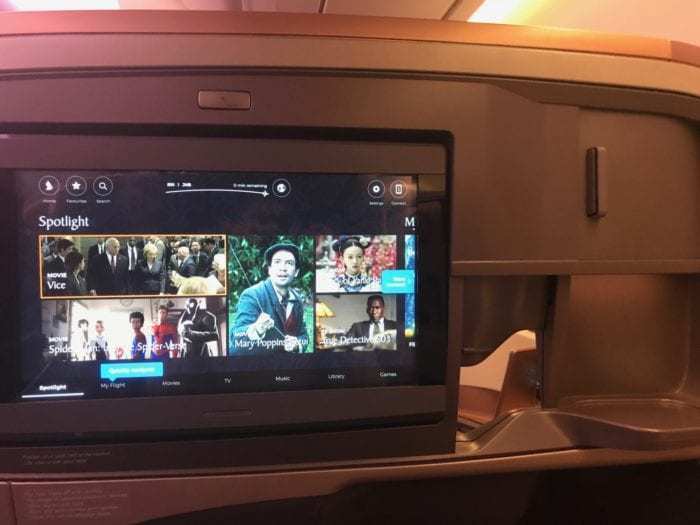 Would I fly Singapore Airlines again in long-haul business class? Absolutely. In fact, I hope to one day fly on their longest route to New York! Would you fly Singapore Airlines? Have you flown Singapore Airlines before? Let us know in the comments below! 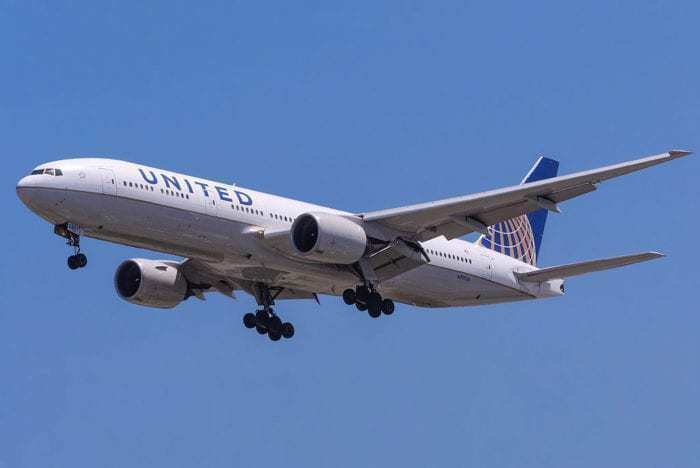 Aviation has a new number one in size, as a one-of-a-kind airplane completed its first test flight on Saturday morning above California's Mojave desert, people familiar with the flight told CNBC. Probably a good move to circle the wagons and concentrate on the platform. Field of dreams comes to mind and this was his dream. Rockets others can build. 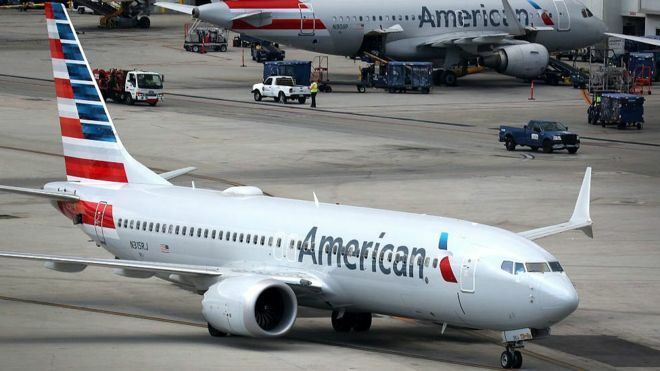 Count on AA suing the beejeezus out of Boeing. 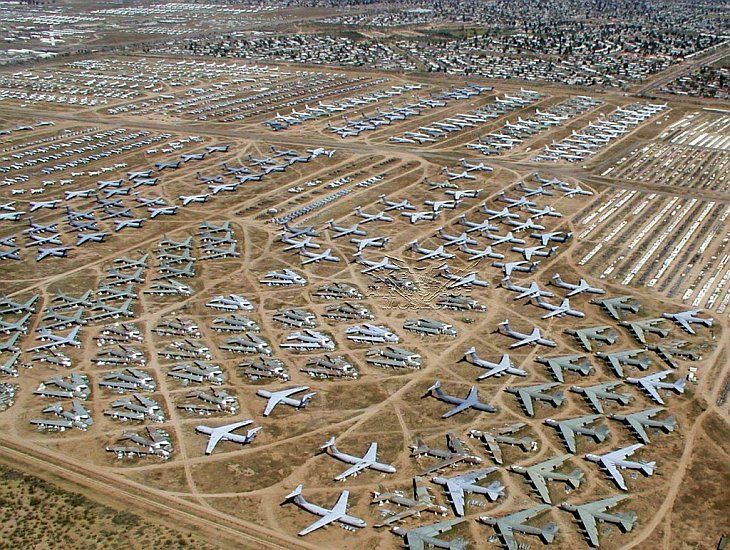 Next stop: The Airplane Graveyard. 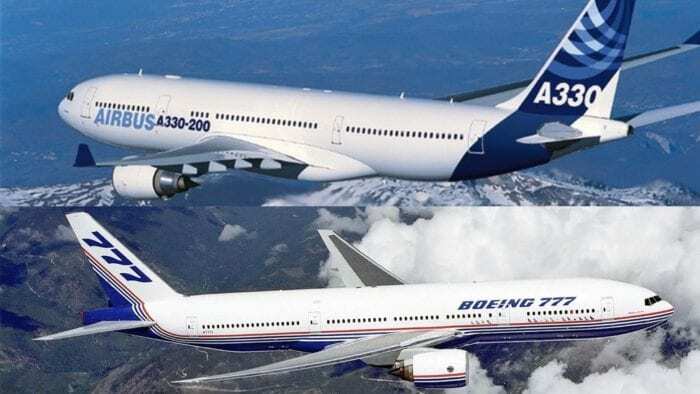  The Airbus A330 vs The Boeing 777 – What Plane Is Better?